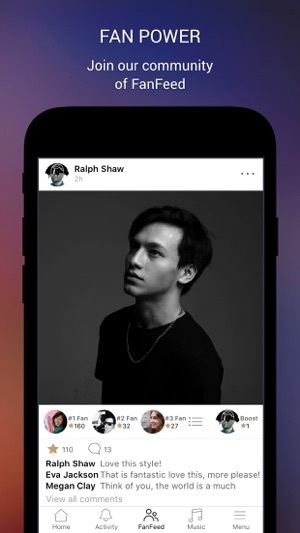 Follow Jefri Nichol through his Official App smarturl.it/jefrinichol. 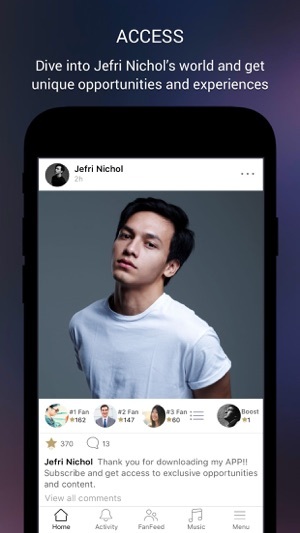 Download the free Jefri Nichol Official app now! 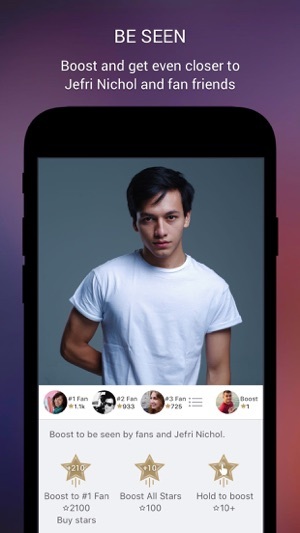 - Boost your comments with Superstars, become a Top 3 Fan, and be seen by Jefri Nichol. - Follow Jefri Nichol on social media. We’ve just launched a subscription service! Subscribers will get the exclusive subscriber badge to decorate their avatars and help them be seen. They’ll be able to access subscriber-only content as well as post unlimited images and videos to the Fan Feed. The $1.99/month subscription fee will be charged through your iTunes account as an auto-renewable, recurring transaction unless you cancel your subscription 24 hours before the end of the current subscription month. Your account will be charged for renewal within 24-hours prior to the end of the current billing period. Jefri Nichol is the son of a couple from John Hendri and Junita Eka Putri. He is the eldest of two siblings. His shy nature changed after he started playing a three-episode mini series titled Kami Rindu Ayah in 2013. Nichol turned into a more confident figure and also determined to continue to hone his acting. His name began to be known to many after his appearance on the big screen when he was cast in the Betting movie in 2017, alongside the more popular young actors like Aliando Syarief, Duke of Dolken, and Giulio Parengkuan, and senior actor Tio Pakusadewo. After his first big screen film, Nichol started playing in the next big screen movie, Dear Nathan. Role as Nathan who has a bad boy image, making the film's audience crazy about his charisma and good looks. After playing a role in the movie Dear Nathan, Nichol continued his career in acting art world, this time playing a role in the horror film titled, Jailangkung. Jailangkung successfully get 2.5 million viewers, Jailangkung movie is in the order of the 3 after Pengabdi Devil and Danur in the row of best-selling Indonesian films in 2017. In addition to play a role in the world of glass screen, Nichol also play a role in web-series uploaded through social networking Youtube with the title Love Letter for Starla. ‧ System and phone login optimization.